The Morrissey revival continues to gather momentum. After his Autobiography became an instant Penguin classic and was the chattering classes’ main subject of debate in the week of publication, the NME has just bestowed a prestigious accolade on his old band. The magazine has declared that The Smiths 1986 album The Queen Is Dead is the greatest record of all time. The NME and Morrissey have had a troubled relationship in the past, even coming close to the courtroom after allegations of racism, but a poll of past and present writers revealed that the album retains impressive support. "There's a perverse national pride to be gleaned from the knowledge that Britain was just as broken in 1986 as it is in 2013," The NME wrote. 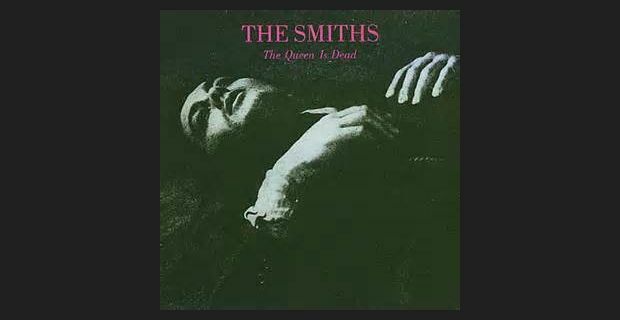 "No album is made in a vacuum, but The Queen Is Dead is one of the select few that seems to transcend its influences and synthesise them into something singular and new." It does retain a topicality. The title track is a comical republican anthem. 26 years after its release, Morrissey’s was one of the few public voices railing against the monarchist fawning during the 2012 jubilee year. Listening to it again, the main nostalgic impact is of an era when Morrissey’s records displayed his impish sense of humour on tracks like 'Frankly, Mr Shankly', 'The Boy With The Thorn In His Side' and 'Some Girls Are Bigger Than Others'. It’s also the record where Johnny Marr’s compositions reached their zenith of melodic brilliance. Morrissey has maintained the interest in his autobiography by issuing an ambiguous statement about his sexuality. Many had interpreted passages in the book as being an acknowledgement that the singer was gay. Nothing so simple. "Unfortunately, I am not homosexual," he said. "In technical fact, I am humasexual. I am attracted to humans. But, of course . . . not many".